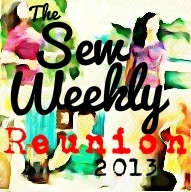 Round three of Project Sewn has us searching the globe for inspiration. Mine was found in 30 year old photos from a trip to the Dominican Republic. Although the photos have faded, I remember lots of white flowers and bright colors in the golf resort, decorated by Dominican native, Oscar de la Renta. I just wish I still had the lace skirt I made to wear on the trip. 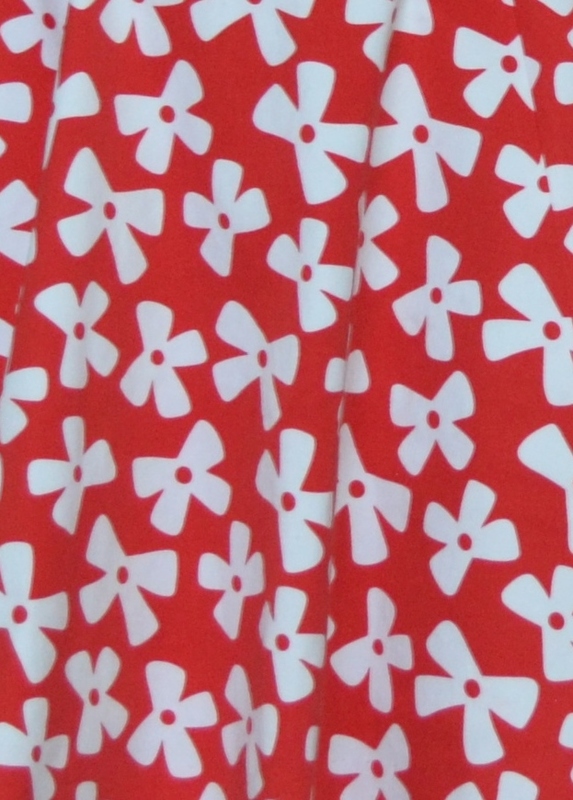 Searching the Mood Fabrics web site, I came across an Oscar de la Renta, red and white flower twill, reminding me of the Dominican white flowers and bright colors. 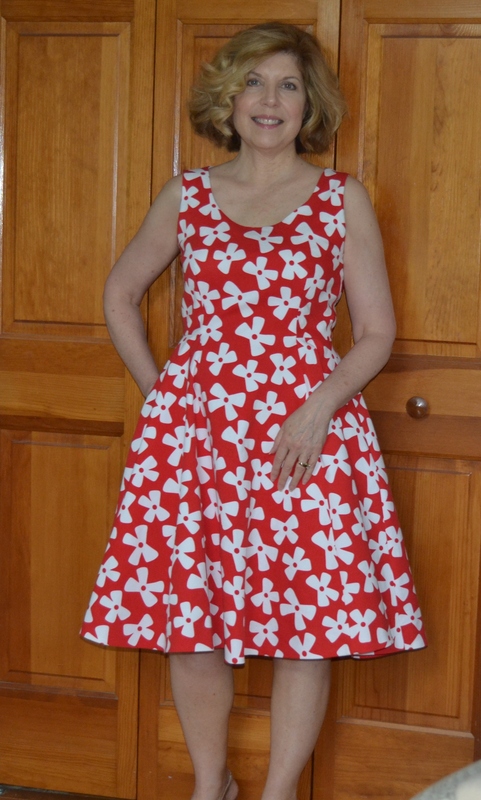 I had ordered a few dress patterns from Vogue Patterns and thought the Very Easy Vogue 8996 would be a good match for the fabric. Raising the neckline to make it more work friendly, I can wear it often and will always think of the white flowers of the Dominican Republic. 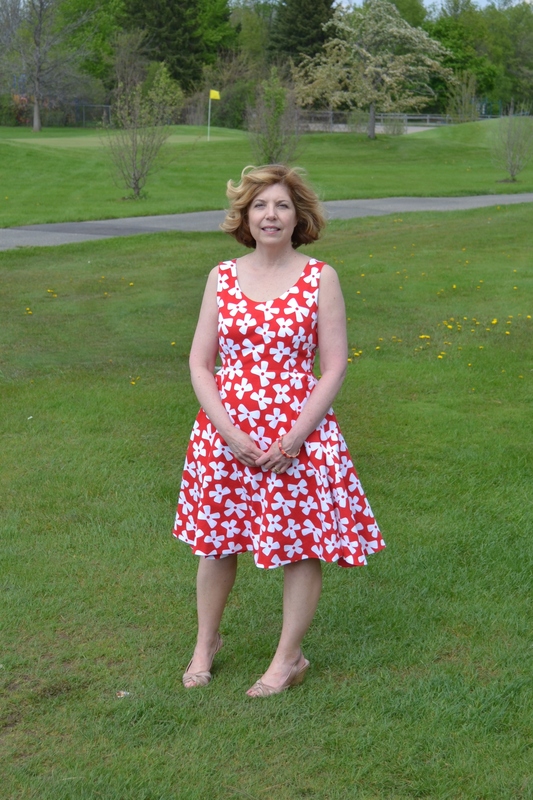 The breeze on the golf course shows my hem facing. 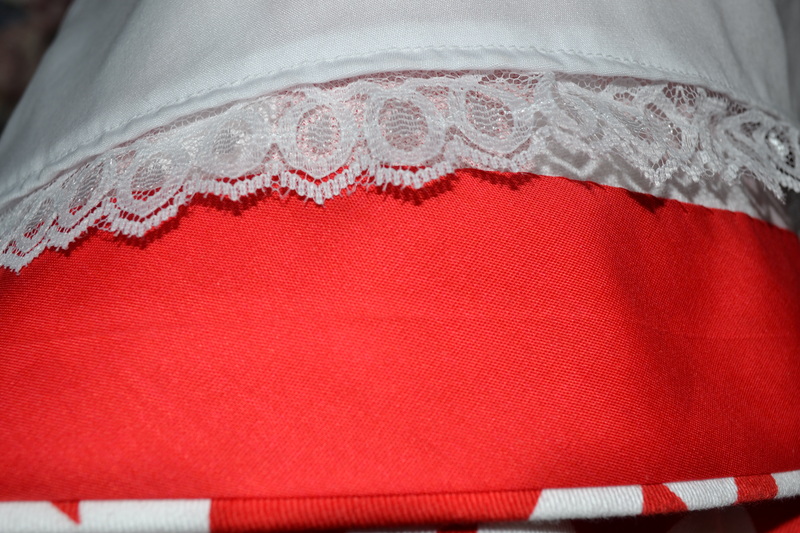 I added lace to the lining to make it look like a slip and add some fullness at the hem. 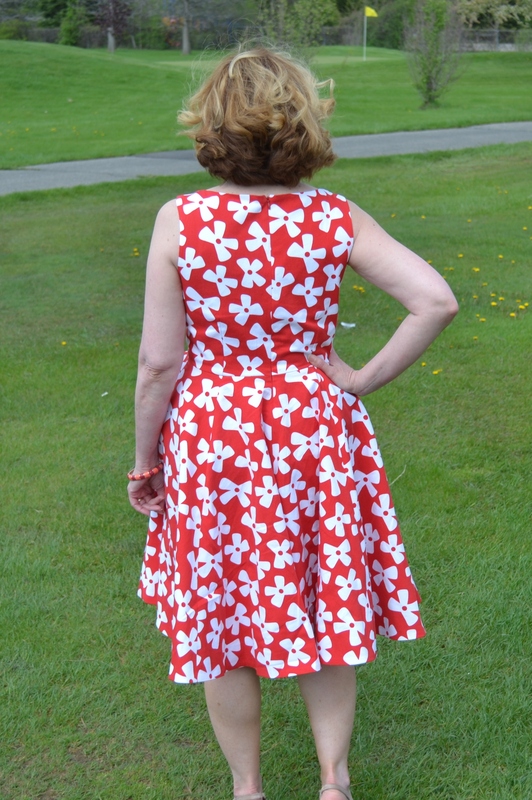 Although the pattern did not show petite adjustments, I was able to shorten the bodice and lower the front darts. 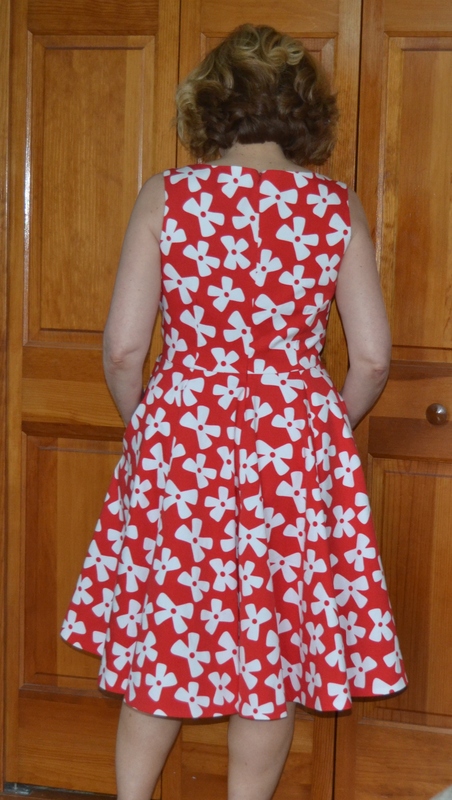 The pattern has the pockets in the seams of the center front panel, but I moved them to the side seams. 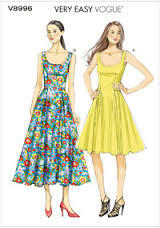 It is a bright an cheery dress and an easy thrown it on and you’re dressed for summer outfit. When I wore it to meet my husband for lunch at a golf outing, I was concerned it was too bright. The concern was unfounded. Have you seen the colors some of the golfers wear? Yikes, there is no missing them on the golf course. I love this dress! So gorgeous. 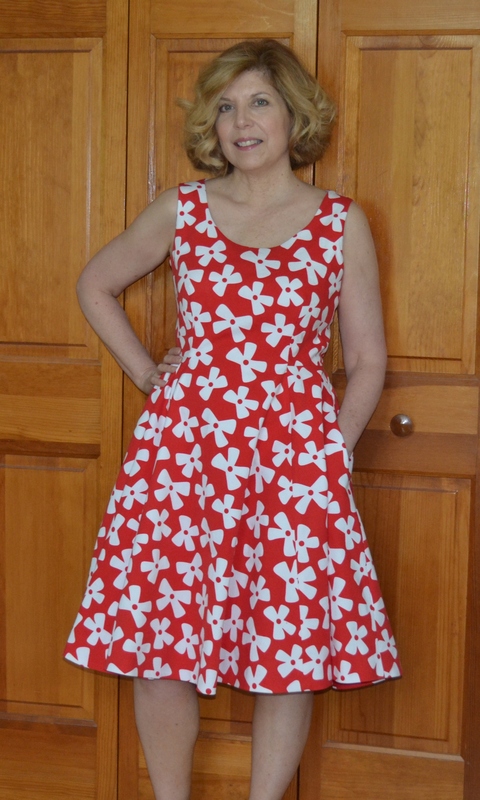 The pattern on the fabric is perfect for a sundress. Thank you. I like participating in the Project Sewn Challenges, it helps in making some creative choices. I really like your dress. It seems to be a style that looks good on you. Fabric is perfect. Thank you, it does give me the urge to twirl. Maybe it triggers that little girl memory. Thanks, I’m always apprehensive when I wear something bright. The first golfer I saw when I arrived was also wearing red. He had on a pair of pants that could only be described as neon red, I’m sure they would glow in the dark. 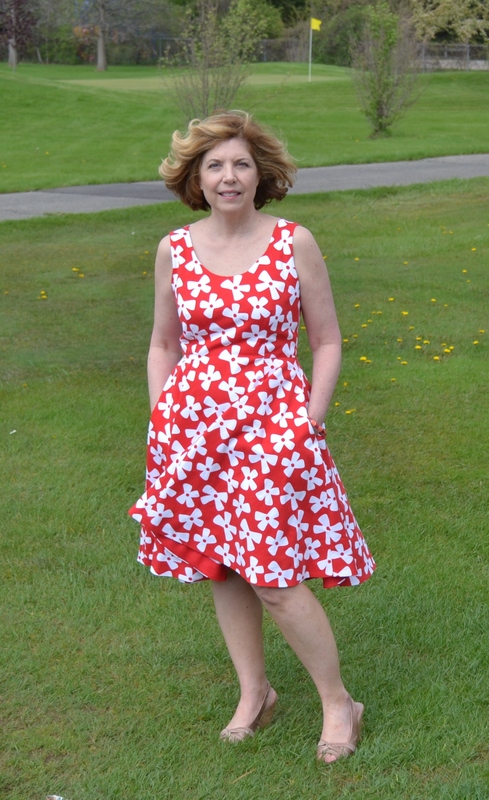 Another fabulous dress from you using our patterns. We like! What a surprise to hear from you, thank you. Vogue Patterns have been my favorites for many years. This is so pretty! I love the fabric, too! Thank you, it’s fun to wear a cheerful dress after such a long winter.